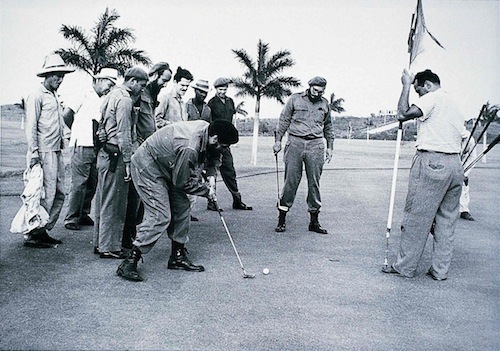 It traces its roots to an inspired conversation between victorious revolutionaries Che Guevara and Fidel Castro on an abandoned, suburban Havana golf course in January 1961. Those were heady days. The pair had already defeated Batista, booted the Americans and launched a successful literacy campaign, closing universities and schools and sending their students out to the countryside to teach the poor and illiterate to read. 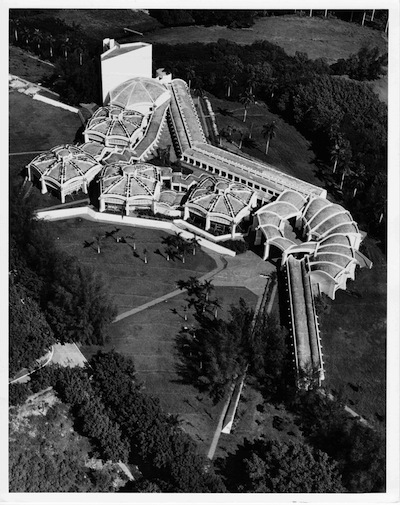 "Che wanted to move ahead in other areas of education, like an international, cutting-edge art school," said architect John Loomis, author of the new edition of Revolution of Forms, Cuba's Forgotten Art Schools (Princeton Architectural Press, 2011). "A project like this needed an architect with vision. Fidel knew Ricardo Porro could provide this and gave him the impossible deadline of one year. But Porro needed help." As it turns out, Porro knew a pair of Italian architects, Vittorio Garatti and Roberto Gottardi, in Havana. By chance the three architects encountered the Barcelona-born son of Antoni Gaudi's master mason, who also happened to be in Cuba. They all envisioned a symbolic reinvention of society, through art and architecture, in revolutionary Cuba. And so was born, in a burst of enthusiasm, the Escuelas Nacionales de Arte, or National Art School. The trio of ambitious architects master-planned and designed a campus for separate schools of ballet, modern dance, music, drama, and plastic arts. Alas, the Cuban missile crisis of October 1962 intervened, resulting in the funneling of resources not to schools, but to defense. By 1965, the school was subjected to ideological attack and declared complete, though its organic complex of brick and terra cotta Catalan-vaulted structures was only partially finished. Fiercely rebuked as bourgeois architects of aristocratic descent, Porro and Garatti retreated to Europe. Only Gottardi remained in Cuba. "The school of modern dance was finished, the school of plastic art was pretty much finished, the school of music was close, and the school of drama was about half-way done," Loomis said. "They were all used to different extents -- from full use to no use." They languished for decades in a state of indeterminacy and ruin, subject to vandalism, overcome by vines and tropical growth, until Loomis published his book in March 1999. 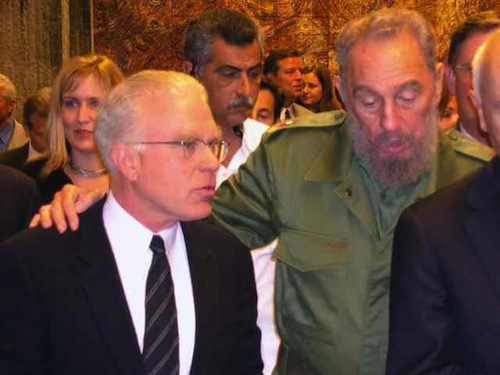 "It prodded and embarrassed the Cuban government," he said. "And it gave others there the courage to stand up and defend the schools." 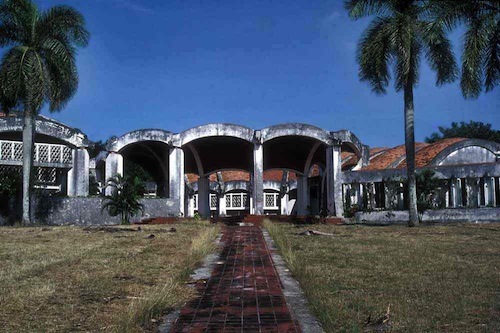 At a conference of artists and writers, the topic of the schools came up publicly, as an example of successful modern Cuban architecture -- and Castro, remembering the project, committed to preserve the campus. Loomis got a call from the trio, still living in Europe, bouncing off the walls like schoolboys, announcing that they'd been invited back to the island to lay out a budget to preserve the schools. "When they left, they were treated as pariahs," he said. "Now they're coming back as conquering heroes. My greatest satisfaction is that these three architects, once heartbroken, are being acknowledged this way." He has good reason to be gratified. A critically acclaimed documentary film on the schools, called "Unfinished Spaces," has now been produced, and moreover, an opera is in the works. And thankfully, Princeton Architectural Press has just published an updated version of his book -- complete with vindication for the three visionaries. For more information, go to here and here.